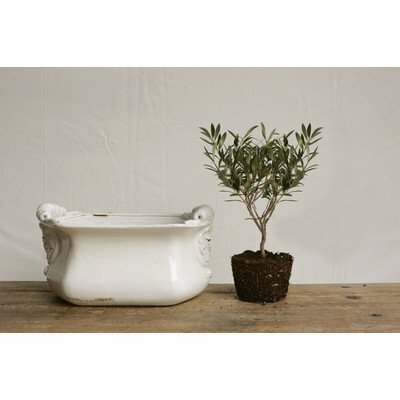 This lovely cache pot is made of a terra cotta with a white glazed finish. This pot is quite large, and can be used for so many things, from fruits as shown to toiletries. Made by Creative Co-op, this pot measures about 16" long by 10" wide by 8" tall.